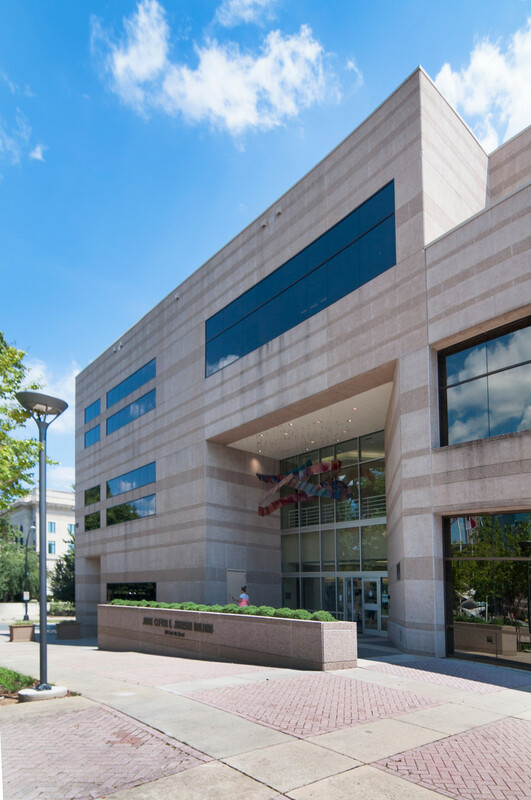 Over 90,000 SF of old courtroom and support space was converted to offices for the Mecklenburg County and the City of Charlotte. We developed a program to confirm and generate options resulting in the Schematic Design on which the design was then based. 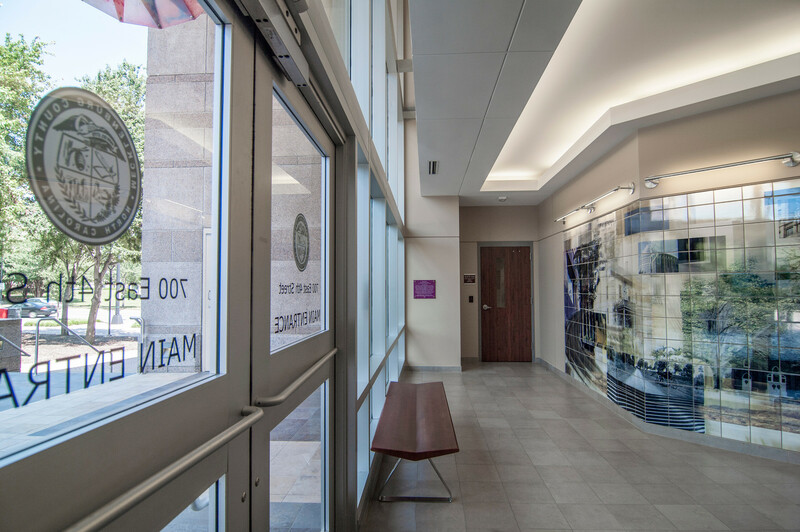 Working to achieve LEED Gold Certification, careful planning was required in all aspects of the project. 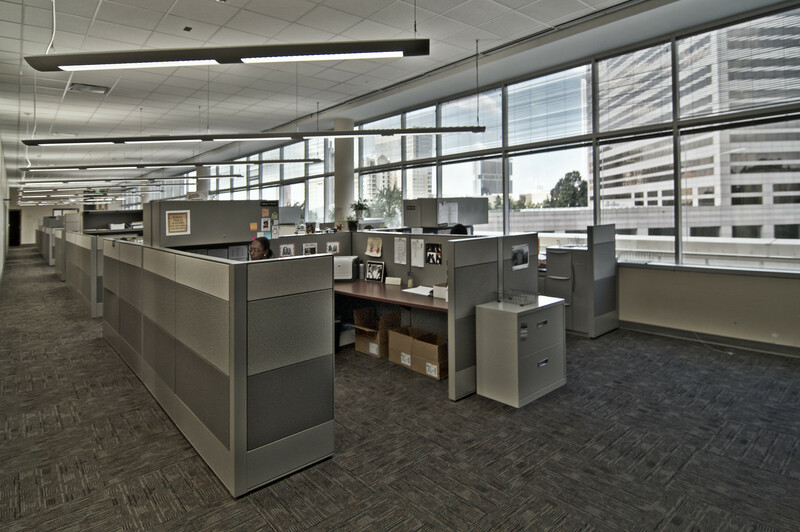 Leading the architecture/engineering team, our Firm coordinated the work of commissioning agents, day lighting consultants, Structural, MEP and Fire, security consultants, and others required for the project. Within a tight time frame of approximately twenty months the building was designed, fully gutted, and re-constructed. 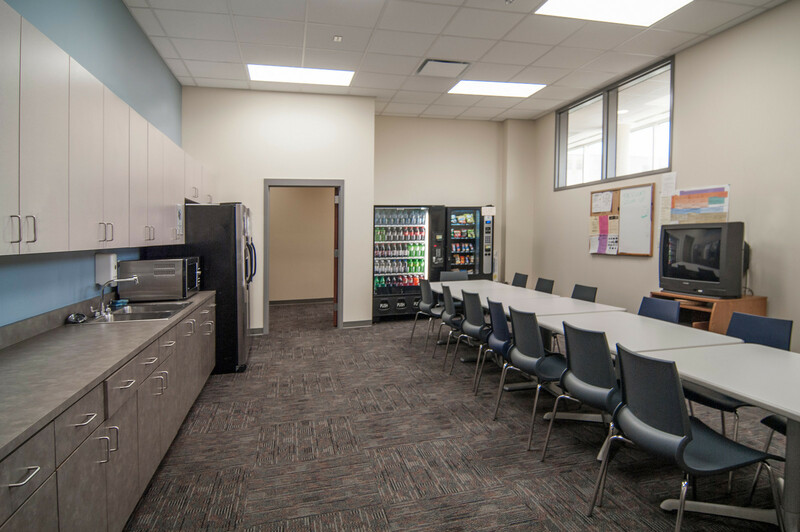 We provided space standards and furniture coordination on the project for five departments originally located in four different buildings. 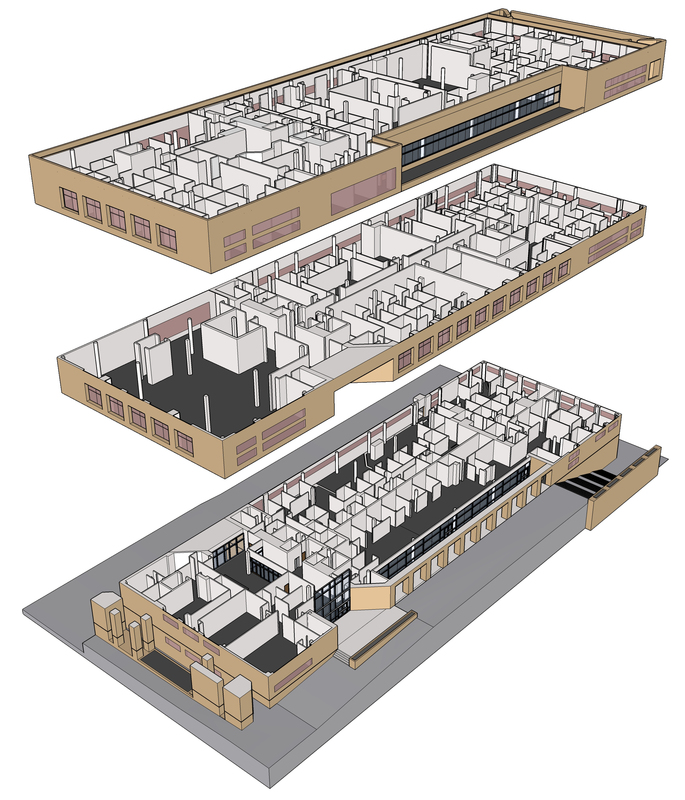 Far more than construction of a new building, this retrofit (with one occupied floor during construction) required significant coordination of phasing and careful construction document coordination. Separate bid packages were assembled for demolition and new construction to shorten the schedule.